We now have dates for August 2019 on the system – every Wednesday from 18:30 to 20:00 and Saturdays from 11:00 until 12:30. Click here to book. The latest set of Wednesday evening and Saturday lunchtime tours have been released – come and make (and drink) some gin with us! We’ve made a surprisingly pleasant Eucalyptus and Lavender Gin, an Orange Gin, one with Star Anise that ended up as Pastis and a whole range of flavours and aromas in between! Rowan berries have been in evidence and the Lady Grey tea has been a revelation. I get two experiments a week and you get so see exactly how gin is made…..and you get to taste the various fractions and blend and cut the finished product. We’ve teamed up with Chocolates by Miss Witt to create a truffle version of our raspberry, nutmeg and vanilla Myristica Gin in time for Mother’s Day on the 31st March 2019. The chocolates will be sold in a gift pack with vanilla truffles and a 100ml bottle of Myristica Gin. We’re also offering free personalisation in honour of all that our Mum’s do for us! For more information, and to order a pack, please click here. We’ve just launched a limited edition (35 bottle) batch of a very special peach and hibiscus gin today. It is in a 500ml heart-shaped bottle and weighs in at 43%. The soft peach flavours have been offset by the slight acidity of the hibiscus and the colour is gorgeous. It can only be bought online, or from the distillery direct, and there is no secret stash – when it is gone, it is gone! We’ve deliberately kept labelling to a minimum because the bottle is sure to become a candle-stick holder or flower vase in the years to come and the love of your life will always smile at the memory of your romantic gesture! We’ve started a new format for the tours to freshen things up this year and ran the first one on Friday 28th December. We’re going to make a unique bottle of gin each time using different botanicals so that everyone can sample something a little different. During the distillation, everyone can sample the various sections of the run and then we’ll blend and cut the gin prior to a final sampling of the finished product. The first session went pretty well with a gin made with sweet orange and hibiscus petals alongside the juniper and coriander seeds – it produced a floral, light and fruity gin that we may well be making again! We’re not licensed to sell on Sunday but I will be in until twelve o’clock (lunchtime one) so you can collect purchases made on line. From the New Year, we will be shifting back to tours on Friday nights rather than Saturday. We’ve just posted dates for January and February so we hope to see you soon! In the meantime, don’t forget that we are open for sales from 9am until 6.30pm Monday to Friday and 10am until 5.30pm on Saturdays in the run-up to Christmas. To be sure that you get what you want, it is always best to ‘click and collect’ via the website and enter ‘LOCALPICKUP’ in the discount code so that you don’t get charged for delivery…..it’s also a good idea to give Richard a call on 07952 639465 to check if the shop is manned! Finally, for now, we will be closing on Saturday 22nd December this year and opening again on Thursday 27th December. Say it with Gin this Mothers Day! There’s still time to get your beloved Mother a personalised bottle of gin in time for the big day on Sunday 11th March. All of our products can be personalised by ordering online at the Dancing Cows Shop and then adding on one of the bespoke label options. Within the size constraints, you can add images, graphics, poems, jokes – the choice is yours. You can even send us a complete design and, as long as the resolution is high enough, and the dimensions fit, we can print it. Please note, if you want us to send the package out, we need orders by close of play on Wednesday 7th March to guarantee delivery before Sunday 11th. An interesting week for drinkers…. You are probably aware that this Thursday 25th January is Burns Night when the Scots celebrate the life of their great poet. The first official Burns Night was held on the 29th January 1802 but the merchants of Ayr then discovered that they had got the wrong date since Rabbie was actually born on the 25th! Much whisky is drunk on the night – mostly to make the haggis more appetising…. The Convivial Rabbit in Dorchester is holding an English take on this with their ‘Barnes Night’ and they are serving our Turnstone Rye alongside quails egg scotch eggs and oat covered sausage-meat bonbons. The 25th January is also the Welsh equivalent of Valentines Day. Saint Dwynwen was not a happy soul – her Father wouldn’t let her marry the man of her dreams so she turned her lover into ice and then ran off to be a hermit on Anglesey. Finally…..Friday 26th is Australia Day down under…..but it is also Rum Rebellion Day in honour of the 1808 uprising in New South Wales by the local militia who locked William Bligh (yes the very same man who endured the mutiny on The Bounty) up in Government House. 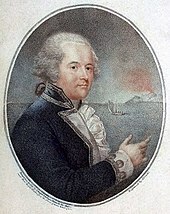 One of the causes of the unrest appears to have been Bligh’s desire to stamp out the local black market where rum was the main form of currency. Bligh was eventually shipped back to England where he was promoted to Rear Admiral with a job firmly behind a desk at the Admiralty for the rest of his career! We’ve now passed the hour for guaranteed delivery before Christmas but you can still click and collect online with collections from the distillery at Sadlers Farm Workshops from 9am until 6.30pm Weds/Thu/Fri and 10am until 5.30pm on Saturday 23rd and Sunday 24th. We will also be at Lymington Market on Saturday 23rd……and the Dancing Cows may be making an appearance! If we don’t see you before the big day…Happy Christmas from everyone at Dancing Cows!